When I was pregnant with Evie we went to the Urban Garage Sale in Milwaukee. It was a really great show in the beautiful Turner Hall building, and I’m hoping to be able to make it to the one coming up in November. 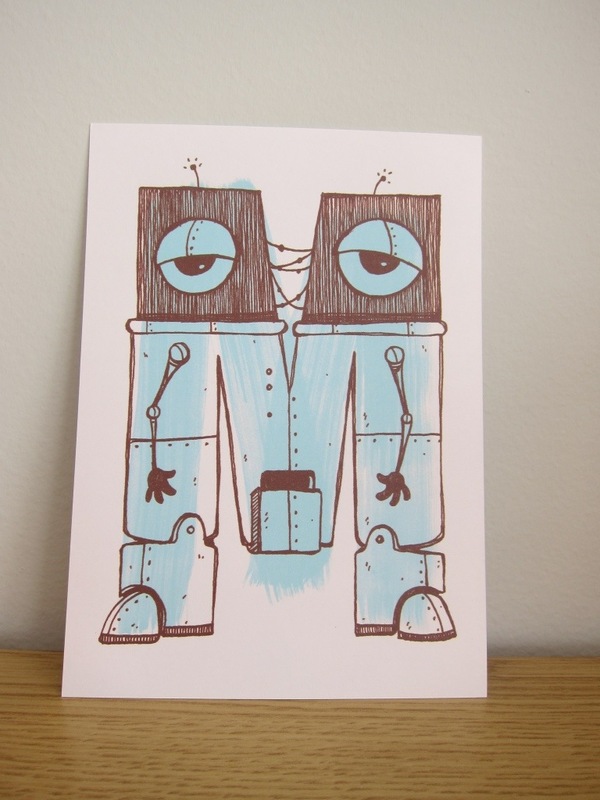 I bought this print of a robot E for her room and when I got pregnant with Mira I wanted to find one for her. Every couple months I would search around Etsy but never found the right seller. One night I got really determined and started Googling around. I eventually came across a vendor list from the July 2010 show on a message board and the name “Jimbot” caught my eye. I tracked down his website and confirmed that I had finally managed to find him! 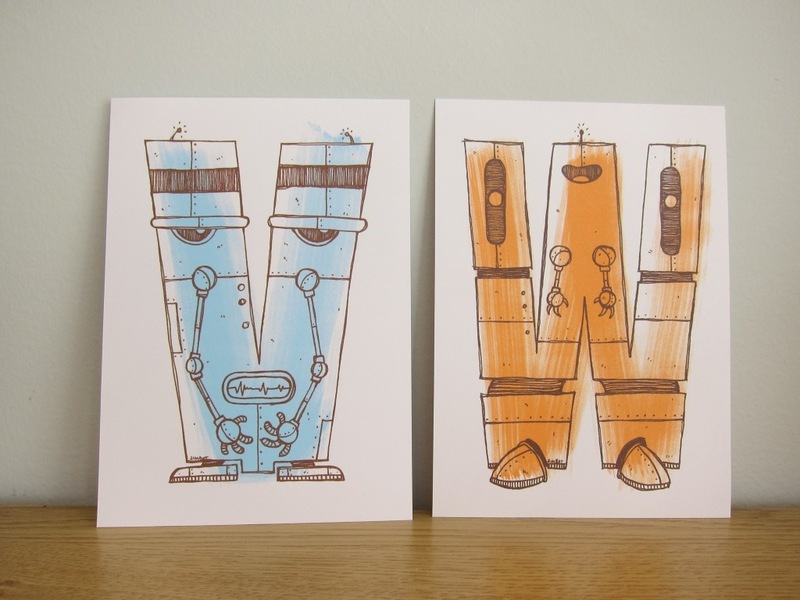 I emailed him and he had just moved but went and dug out his robot letters and had an M left. I also got a V and W for my friend’s kids too. He was super nice to work with and I just love all his stuff! I was also excited to add to the ever growing monogram collection.